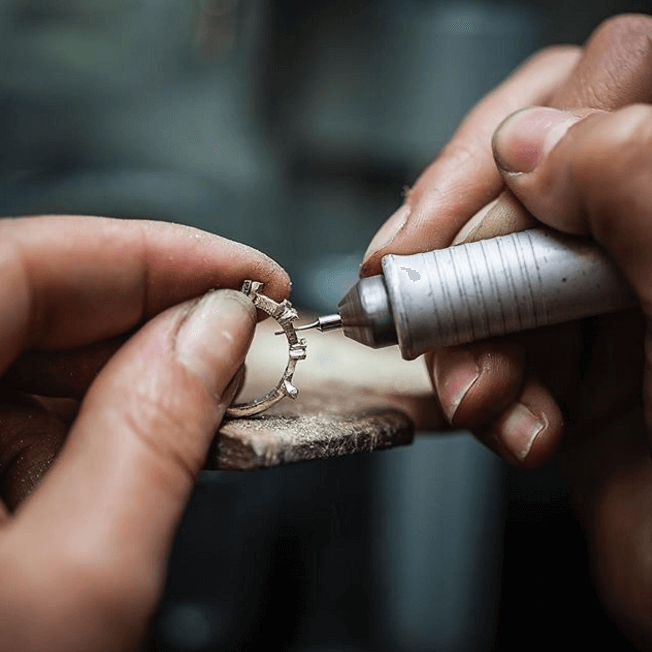 Can you tell us how your jewellery journey began, what inspired you to get started initially? After meeting a group of recently graduated jewellers in Dundee, we all had a lot of drive as a collective. This helps spark lots of ideas and mind-sets for starting my own business, although the business has grown, and changed direction numerous times since 2011. I’m lucky enough that I can still call the same group of ladies my mentors and friends. Can you talk us through the process of creating bespoke orders, and what do you enjoy about the process of working alongside a brief? Ideally, clients will come into my studio workshop, have a chat and see what I have made up as sample stock. This will then set off a conversation about designs that they are leaning towards, colours they want included, metals types, heirloom metal etc. Then onto designing, where I try and listen to client’s requests, and provide them with 3-5 design drawings, sometimes arranging for stones to be in for approval, at this stage. I’m always amazed by how many new ideas spur off of these designs. Normally I start a design, and 10 more ideas develop from that. Once approved, the fun begins, and I set to work making the unique piece, usually hand fabricating or wax carving a master copy, to be moulded in house and then sent off to cast. My favourite part of the whole process is meeting new people, and seeing their reactions at the end product. Your pieces are where do you get inspiration for your ready to wear collection? I love geometry and architectural shapes and forms. I always have so many ideas in my head, usually at night(! ), and the difficulty is finding time to create what’s floating in my brain. Some designs and ideas are in my head for years before I can finally experiment, and I love it when a clients request and my bucket list of designs align. I love triangles, and the edgy, trilliant designs are my personal favourite. Do you have one piece of advice for anyone looking to start their own business? Patience and persistence in equal measures. 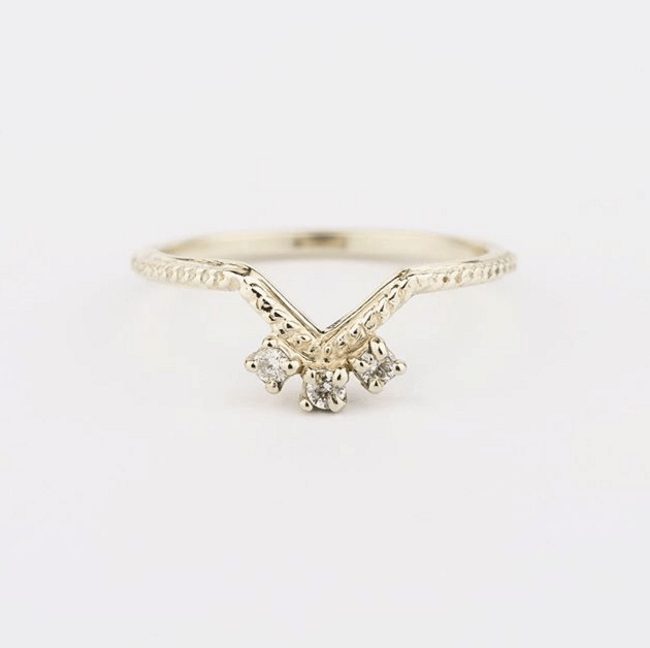 I worked as a goldsmiths assistant in a jewellery design studio/workshop, for 2 years, which was great for instilling a trade approach to jobs, as well as appreciating the design and production. It requires a lot of hard work and a healthy positive attitude, but if you have the drive, and the right attitude, then you are half way there.